Gardeners expect to have some form of insect damage during the growing season. The key is in identifying the insects, knowing what the damage they cause looks like, and knowing how to prevent or control the bugs to minimize damage. Tomato plants may host different species of insects at different times. 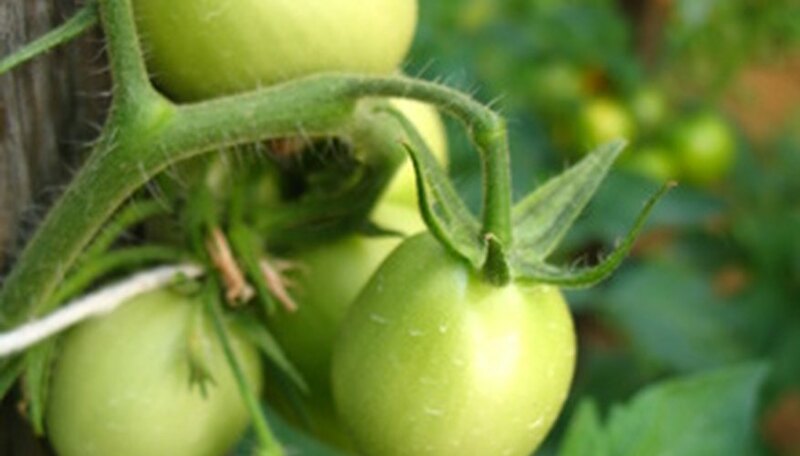 Keep watch for early telltale signs of the pests; early control will save the tomato crop. Parasitic wasps and other beneficial insects are available from biological pest control suppliers, or at your garden center. The earliest insect damage your tomato plants may suffer is also the most devastating. Cutworms are moth larvae (caterpillars) that live in the soil. They are usually unseen during the day, creeping up to young tomato transplants at night and biting right through the stems at ground level, killing the tomato plant. Nematodes control cutworms in the soil, and wood ash scattered lightly around the stem discourages cutworms from moving up to the plant. Once the tomato plant stem is about the size of a pencil, it will be too tough for a cutworm. Flea beetle damage appears on tomato foliage. Flea beetles make small black spots that resemble shot holes on tomato leaves. They carry plant diseases, and their larvae live in the soil, feeding on roots. Organic control of flea beetles includes using white or yellow sticky traps. The beetles are attracted to the white or yellow color, and they simply stick to the adhesive on the trap. Row covers are also effective, but they must be removed to allow pollination when blossoms are present. Leaf miners are the larvae of any of several small flying insects. These larvae tunnel between the layers of tomato leaf tissue, creating trails of dead tissue that are visible on the foliage surface as white lines. Besides being unsightly, the tunnels are entry points for fungi and bacteria to infect the leaves. Control leaf miners organically by hand-picking affected leaves. Diglyphus isaea is a species of parasitic wasp that feeds on leaf miners. Leaf miner pupae drop from the leaves of the host plant to complete the life cycle in the soil. Plastic mulch prevents pupae from contacting the soil, which breaks the life cycle. Yellow sticky traps are effective at collecting the adult flies, preventing them from mating and laying more eggs. The bright green tomato hornworm is perhaps the most recognizable of tomato insect pests. 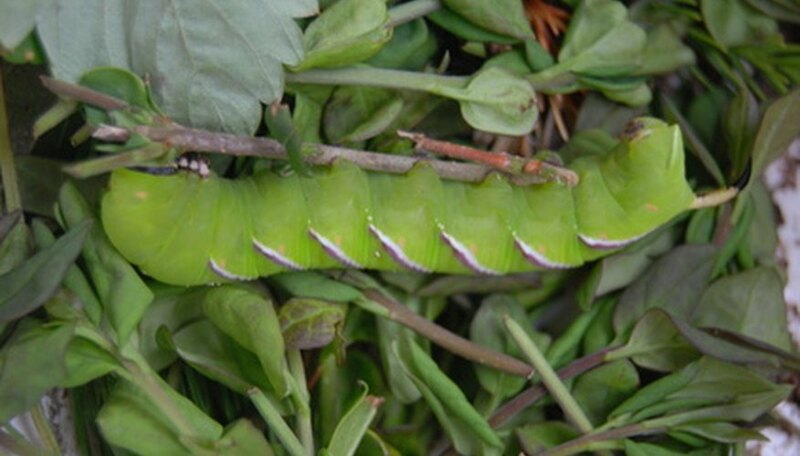 At 3 to 4 inches in length, hornworms are the largest caterpillars in the garden. They are the larval stage of the sphinx, or hawk moth. Only one hornworm can devour the foliage on a tomato plant in a day or two. If you notice that the foliage on your tomatoes is suddenly nothing but stems, it is a tomato hornworm at work. Hand-picking these large caterpillars is easy and effective. They can be difficult to spot, due to their camouflaging green color. Look for their dark pelleted droppings to locate them. Biological controls for adult hornworms are trichogramma wasps. Ladybugs feed on the moth eggs before the hornworms hatch.